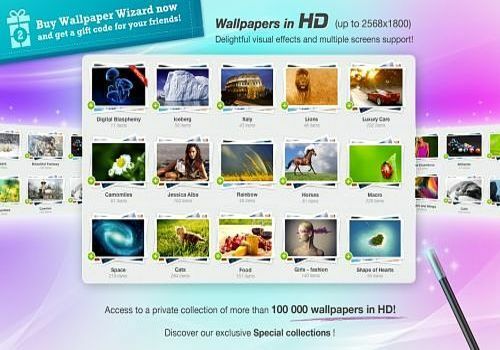 Wallpaper Wizard is a wallpaper changer with unlimited access to a private collection of over 100,000 high-resolution wallpapers. You can manually select any wallpaper from the collection for your screen, Wallpaper Wizard also supports multiple screens! Try it and in an hour you will catch yourself looking at your desktop and clicking on "next wallpaper" to see a new wallpaper. Many applications offer wallpapers but all those you like are not free.... It is now possible to have original and personal ones without paying a penny with Wallpaperio iPhone Maker. Free and easy to use, this software will allow you to create your own wallpapers.